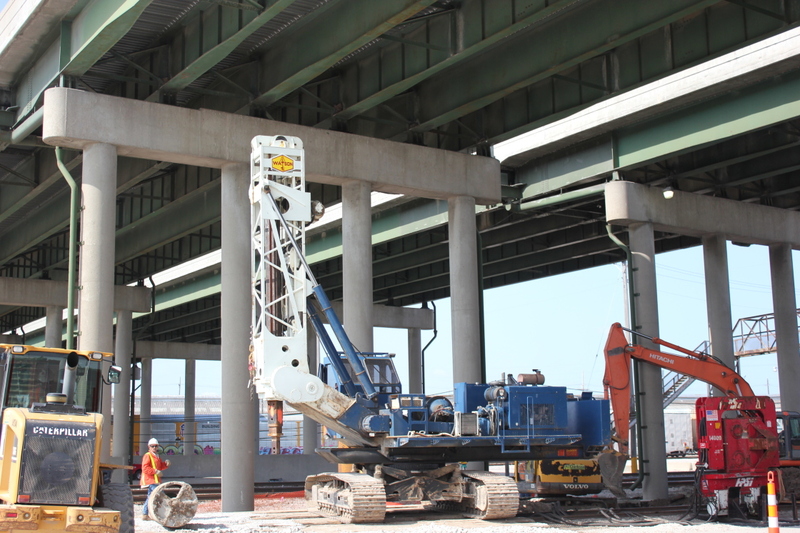 Hayes Drilling’s involvement included the installation of drilled shafts for the crash wall beneath I-635. Overhead clearances of less than 40’, along with working adjacent to existing tracks made the installation of the shafts challenging. 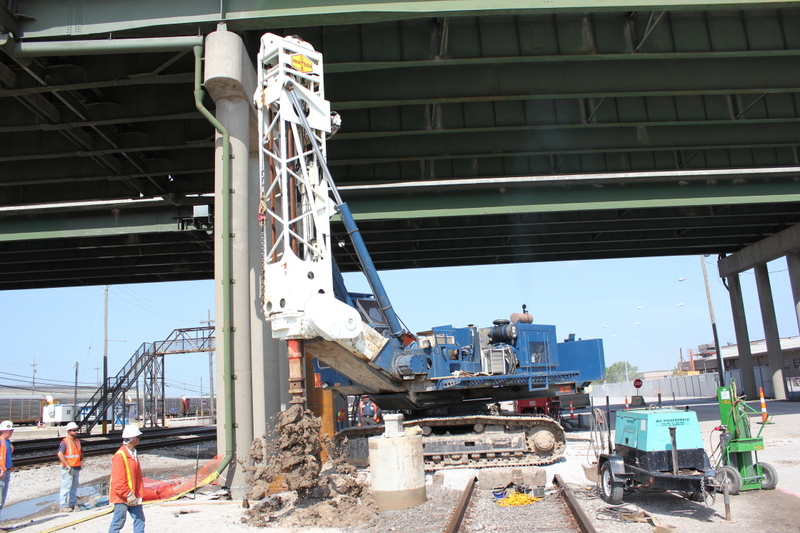 The high water table and sandy subsurface conditions required the use of a specialty low headroom drill rig and vibratory hammer for the installation of the 36’ long permanent steel casings. 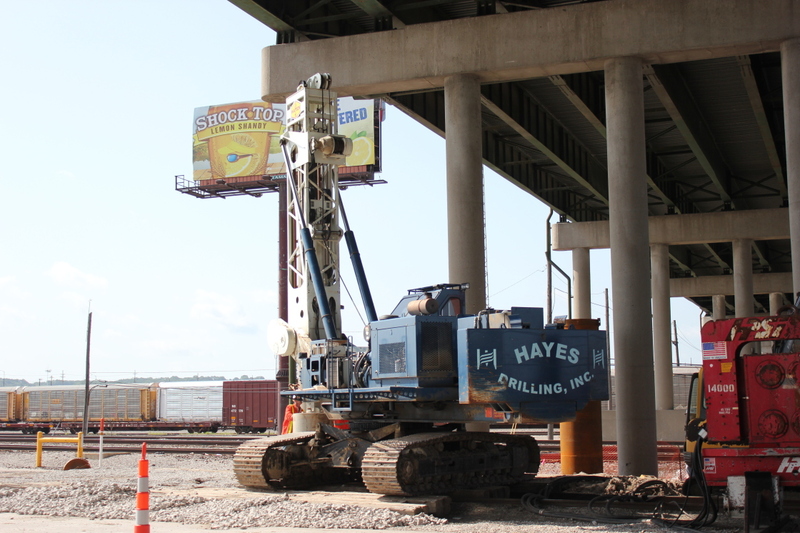 Despite the challenges Hayes Drilling was able to finish ahead of schedule.